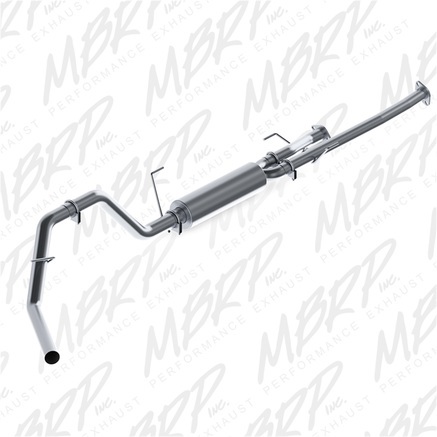 MBRP prides itself in performance exhaust parts like exhaust systems, headers, mufflers and pipes, but also carries a wide range of Jeep and truck body items. 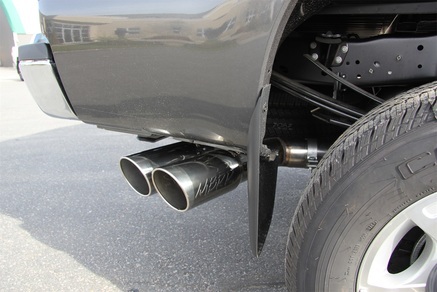 Make yourself heard with a MBRP performance exhaust system! 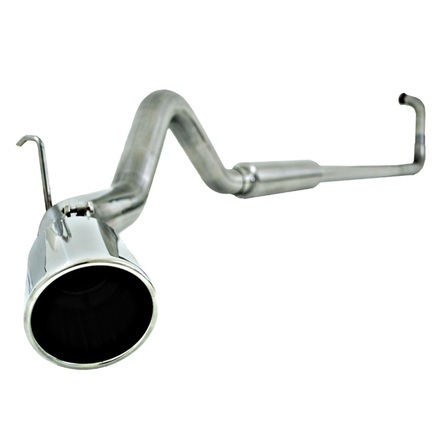 With this MBRP exhaust system, you can let your engine breathe easy. Also, you also get better HP and torque hence, better engine performance, which will then lead to better fuel economy. On top of that, you also get a rich, mellow exhaust tone that you will surely appreciate on the road. Get that maximum pulling power with the MBRP Black Series. 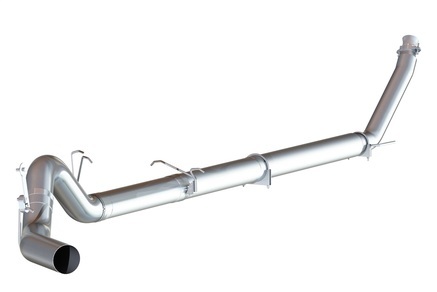 This exhaust system is built to perform and can deliver that maximum performance to your vehicle. Enjoy better horsepower and throttle response with this and you will surely have the best ride quality. It's easy to install and it will also reduce backpressure. 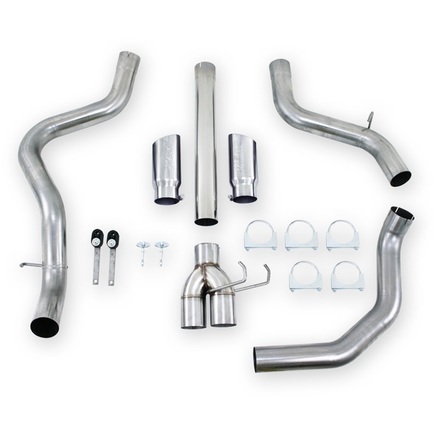 For an exhaust system that will not break the bank, this exhaust system kit is the perfect choice for you. Despite its affordable price, you can guarantee that this will deliver to you the ultimate performance that you need. It will also increase your vehicle's HP & torque along with a much compelling sound. If you want the power of the MBRP Pro Series but you want something cheaper in price, this Installer Series Cool Duals is the perfect choice for you. It will deliver to you the best performance - that means better horsepower, gains, and fuel efficiency and at the same time, you don't have to splurge! 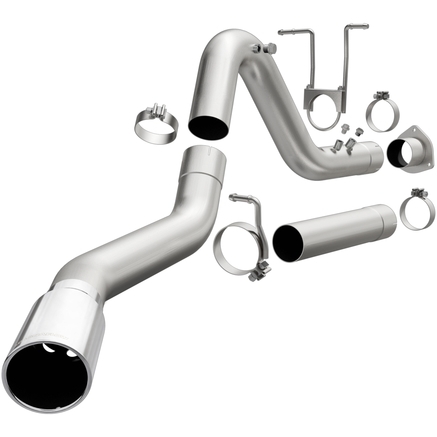 Constructed from heavy-duty material and finished with protective coating, the Installer Series exhaust system kit of MBRP will last you for years. It can withstand all harmful elements. Now, with such ability you can guarantee that you will get the best engine performance out of this, which will bring out the best in your vehicle. 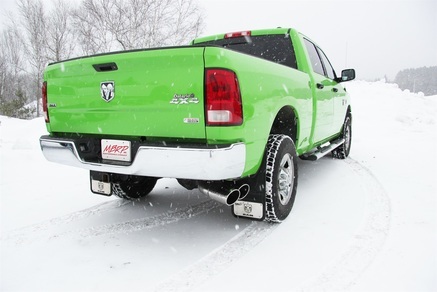 This MBRP Installer Series is ideal for truck owners who are looking for the best way to bring out the potential of their truck. 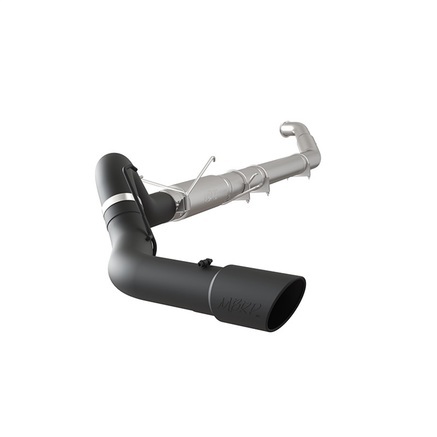 Delivering optimal sound, this will help make your truck run faster and smoother. You can also expect improved efficiency with this that you will surely appreciate. It's time to let your engine breathe and what better way to do it but through the use of the MBRP P Series exhaust system that will really take your engine's performance to new heights. Enjoy better horsepower and torque with this exhaust system that you will surely love and appreciate! For a better entry-level exhaust performance that will also deliver an aggressive tone to your diesel engine, the MBRP Performance Series is your choice. This is also a great value for money and that means you don't have to spend a lot just to get the exhaust performance that your vehicle deserves! Get the most aggressive tone for your vehicle with the MBRP PLM Series. This exhaust system will give you that tone that will make you feel like you're the king of the road. You can also get maximum performance out of this exhaust system. It is easy to install and it will last! 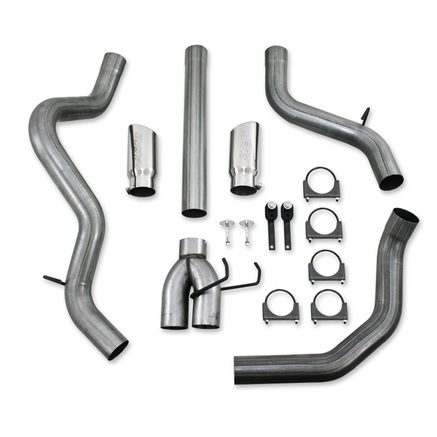 For a more improved fuel economy and better performance, this exhaust system kit will give you the best quality. You will also love how it sounds. It will deliver a rich, mellow tone to your vehicle. Once you notice the sound upon setting it up, you'll notice next its wonderful performance! 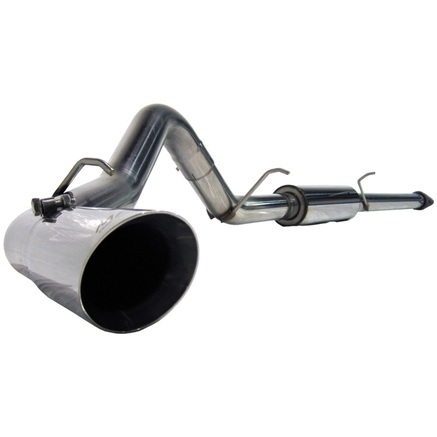 Give your vehicle that exhaust system that it deserves. 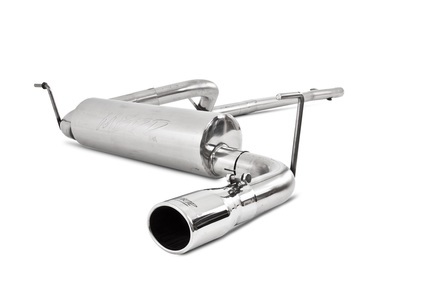 This exhaust system kit from MagnaFlow will deliver to you maximum performance and a better sound. Not only that, it will also boost your vehicle's style that you will surely love. Get the most out of your vehicle with this! 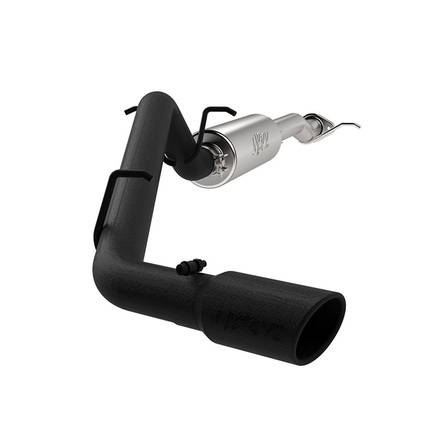 Equip your vehicle with maximum power by installing the MBRP exhaust system kit. The MBRP Pro Series is ideal for the enthusiasts who are looking for the best performance. This is a great investment that you can have for years. Plus, it doesn't require drilling or welding to install. Time to upgrade! 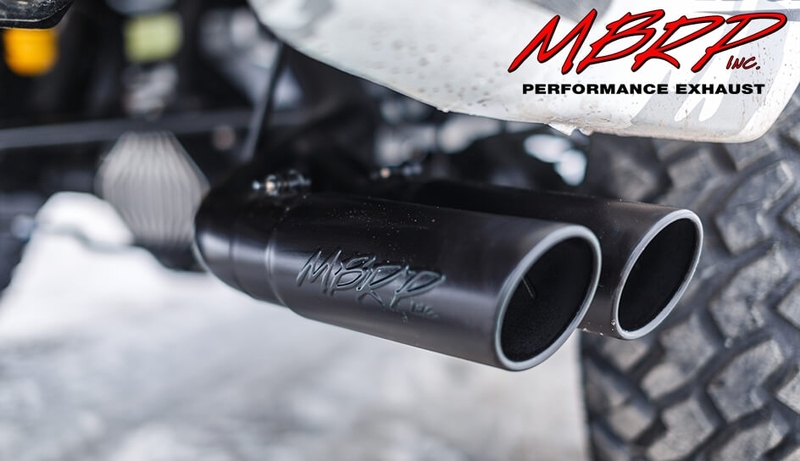 With the MBRP Pro Series, you will get the performance that you are looking for out of an exhaust system. 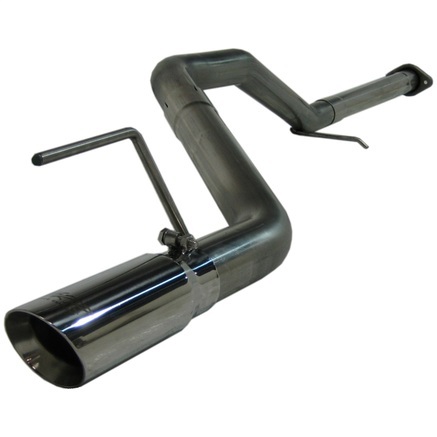 This exhaust system will increase your vehicle's horsepower and torque thus expect better fuel efficiency like no other. It's the perfect upgrade that will deliver to you a rich and mellow tone. 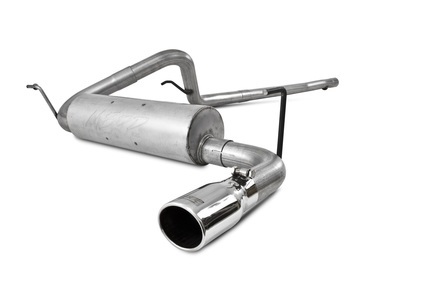 The perfect exhaust system for diesel trucks, this MBRP SLM Series will deliver to you the most aggressive tone. It is constructed from tough stainless steel and boasts of mandrel-bent tubing that guarantees you maximum performance. It is also corrosion resistant and will provide your truck with a cleaner look! 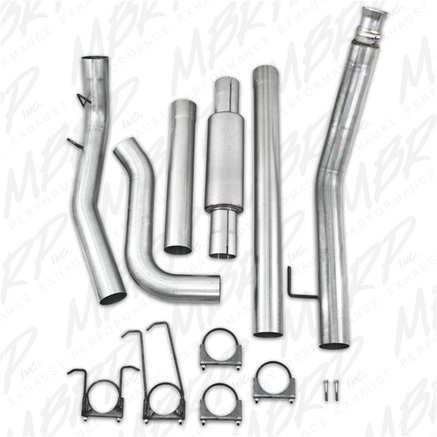 For an exhaust system kit that will deliver to you the best performance, this MBRP exhaust system kit will make a huge difference. Considered as the brand's pro line series, this will give you quality that will last, ensuring that you make the best investment out of this cat back exhaust system. With the MBRP XP Series Cool Duals, you can have better engine that you will love. It also delivers optimal sound. 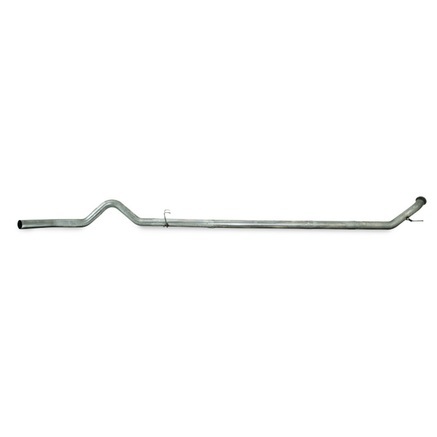 Constructed from stainless steel, this exhaust system will last and you can guarantee that this will keep your vehicle running so much better and smoother. It's easy to install, too! 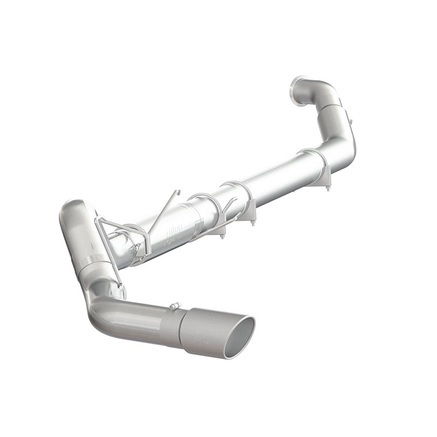 For that exhaust system that can withstand the toughest road conditions and elements, the MBRP XP Series will make a huge difference. Not only will it improve your engine performance but you get to have yourself a better sounding engine that you will be really proud of. Installation is easy and you can DIY it! If you are after performance, the XP Series from MBRP is exactly what you need. This exhaust system will give you better horsepower and torque boosts. In turn, you get better fuel efficiency. And to make it even better? This is proven to last thanks to its stainless steel construction and mandrel-bent tubing. 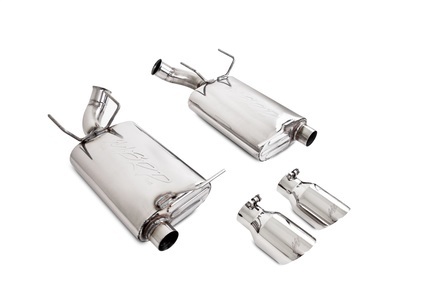 PartCatalog.com is a proud retailer for MBRP Exhaust. For more information on MBRP Exhaust, please visit the MBRP Exhaust official website.